W13317B - "DELIGHT IN THE LORD"
Silver Tone Stretch Bracelet Suspends An Angel Charm. 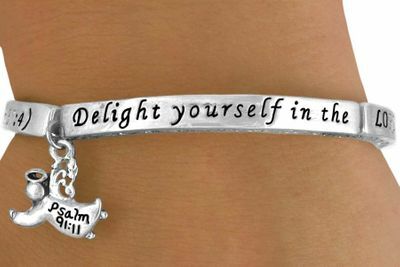 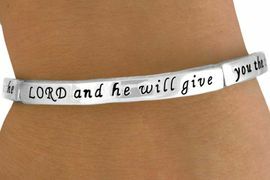 Written Around The Bracelet Are The Words, "Delight Yourself In The Lord And He Will Give You The Desires Of Your Heart. 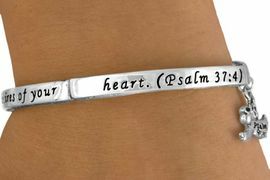 (Psalm 37:4)"